Poison Dagger: I'll see you in hell! Jackknife: Yes, I suppose you will. I'll save you a spot by the fire. I haven't really seen all that many Kung fu based films, so maybe some of 'The Man with the Iron Fists' effect is lost on me, but I found this to be a very incompetent piece of filmmaking. I know borderline nothing about RZA, I basically only know his name from the 'Kill Bill' soundtrack, this marks his directorial debut and is clearly obvious that an inexperienced filmmaker is behind the camera, because this is very amateurish. It baffles me as to how a musician is granted 15 million to make a film, it seemed like Tarantino probably gave him the good word and studios brought it. RZA's work is godawful here and very incompetent, with two certified filmmakers on set, Tarantino and Eli Roth, could they not have gave him some pointers ? The film is unfocussed and inconsistent, his choices are just ridiculous. The screenplay relies on its fight sequences to make this film watchable, its such a hollow and just boring tale being told. The script is co written by RZA and Eli Roth, RZA's involvement in writing this is obvious but I would have expected just a little more from Roth, who I do like despite his haters. The fight sequences are entertaining and elaborate, there chaotic and most of the time fun, but they can become tedious and over long. Ive never really been one for long fight scenes, I really prefer characters and story, but those are absent here so I had to focus on the fighting. 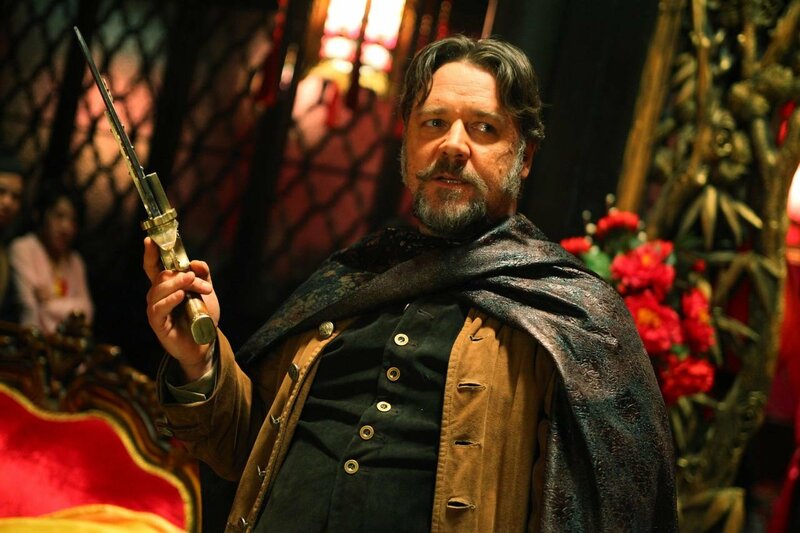 The performances are all pretty useless, except for Russell Crowe, I have never been the biggest fan of Crowe's, but he was great here and he single-highhandedly makes this watchable, if he wasn't involved it would be a Lot worse and that's saying something! Lucy Liu plays a less intimating and more heroic version of the character she played in 'Kill Bill', I'm a big Pro wrestling fan so I knew Batista was in this, while he was a terrible wrestler, he wasn't all that bad here, surprisingly. Now, I have stated that RZA did a terrible job as a Director and a screenwriter, but how did he do as an actor ? HORRENDOUS! what a bland and uninteresting performance, just horrible and it was a self indulgent act to put himself in the role. I honestly thought this could be a fun film, I was dead wrong! This was boring and I was completely non invested in this film. I can now say I hate RZA as a filmmaker, what a pitiful display, how he already has two more projects lined up is beyond me, hes performance is also horrible, he just gets everything wrong! In my opinion Avoid this, unless you like long fight sequences, and have a disdain for plot, if you do, you are not my kind of person.